Audio software, video software, programs to watch movies, software to listen to music, television software, programs for free download App Radio, Kodi, Museeks, Rylstim Screen Recorder, GestMusic, Action Movie Fx, MP4 Player, Audio Converter Pro, Video Converter Pro, LoLaoke Download for free! »» Free download App Radio! App Radio ::: a computer program that allows users to listen to radio stations. Using App Radio can listen to radio stations from around the world. App Radio is a simple, stable, fast and efficient program to listen to radio online. Kodi allows synchronization between different devices and is compatible with most popular formats. Museeks supports and is compatible with most audio formats. 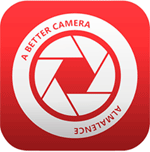 »» Free download Rylstim Screen Recorder! Rylstim Screen Recorder ::: a computer program that allows users to capture video. Using Rylstim Screen Recorder can capture a portion, a window or the full screen! Rylstim Screen Recorder is a well structured program, the program has the simple and intuitive toolbar to capture. GestMusic ::: a computer program used to manage audio files. Using GestMusic can manage and organize from one place all your music files. GestMusic supports and is compatible with the most audio file formats. »» Free download Action Movie Fx! Action Movie Fx ::: a computer program that allows users to edit video. Using Action Movie Fx can apply various special effects to video files. Action Movie Fx is compatible and can work with most popular video formats. »» Free download MP4 Player! MP4 Player provides various control functions and lets you apply different filters. »» Free download Audio Converter Pro! Audio Converter Pro allows batch processing and includes an audio player. »» Free download Video Converter Pro! Video Converter Pro is a good quality video converter, the program has a pretty good working speed. LoLaoke ::: a computer program that allows users to sing karaoke. Using LoLaoke can turn your computer into a karaoke machine, which can sing anything you want. 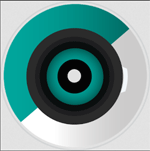 LoLaoke is compatible with most popular formats and offers different control tools.